A quarter of people received an unwanted Christmas gift last year and Londoners were significantly more likely to pipe up about it, according to new research from Which?. Which? surveyed more than 2,000 people about their shopping and gifting habits at Christmas. Of the 93% who told us they had received one or more Christmas presents in December 2017, a quarter of them had received an unwanted gift. A higher proportion (31%) of women said they received one than men (19%). How would you feel if you received an out of date gift voucher, a pineapple cutting machine or a hand-knitted willy warmer on Christmas Day? 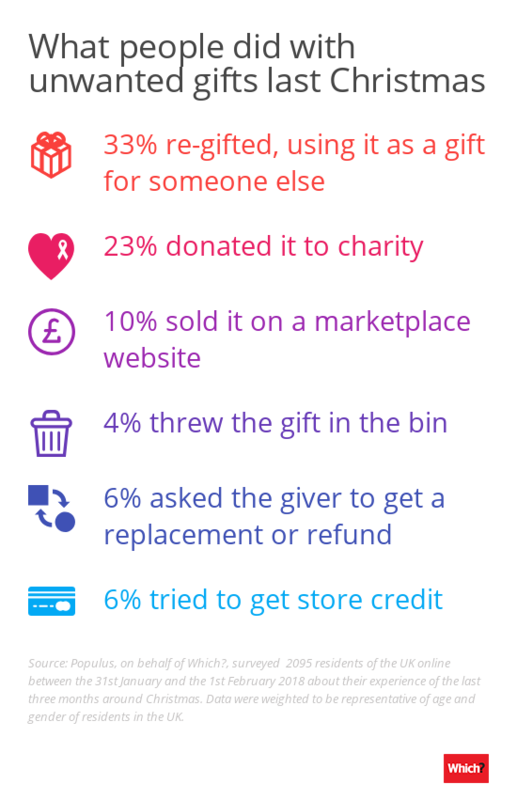 Londoners were more likely (at 17%) to ask the gift giver to get a replacement/refund for an unwanted Christmas gift than the rest of the UK (6%). If you want to return a gift, you’ll usually need proof of purchase to get a replacement or refund. The best way to do this is with a gift receipt, but if you weren’t given one with your gift you’ll need to ask if the person who bought it for you if they still have the original receipt. 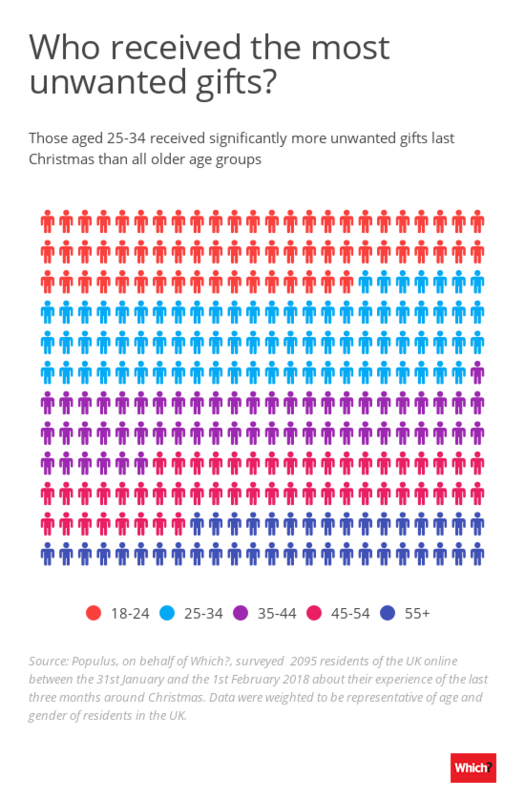 People aged 25-34 told us they received significantly more unwanted or unloved gifts than all the over-35s we spoke to. 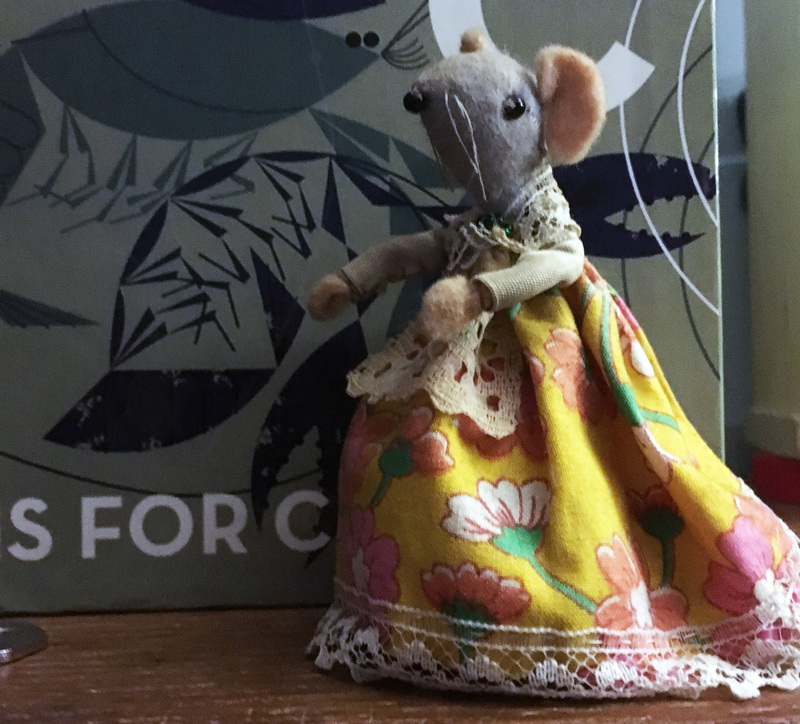 Using it, exchanging for an alternative gift in store and putting it in a church raffle are some of the things gift recipients told us they did with unloved presents last year. Other people put the present away to re-gift for next Christmas, some said they planned to sell it on an online marketplace website like eBay and some kept it, saying ‘it’s the thought that counts’. 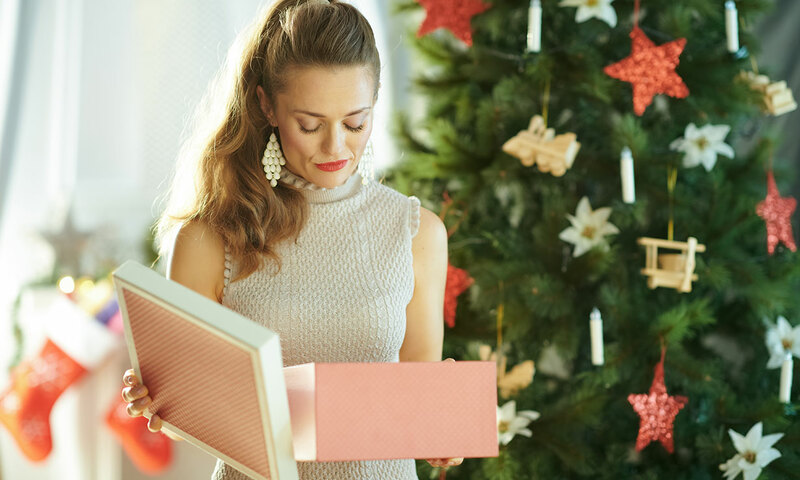 Women were more likely to re-gift – more than one in three women said they did so, compared to one in four men. Our research found re-gifting to be the most common practice when people are given an unwanted or unloved gift (33%), followed by donating to charity (23%). Significantly more people in the Midlands (30%) donated their gift to charity than those in London (12%). While significantly fewer people in the North of England (2%) binned their gift than those in the Midlands (8%). If you’ve received something you don’t like, you’re best off asking whoever bought it to return it for you. This is because the contract of sale is between them and the retailer. The purchaser might be able to return the goods according to the Consumer Contracts Regulations for online purchases, or return the goods to store under the retailer’s returns policy. If you’ve got a gift receipt, returning it should be relatively easy. Gift receipts usually allow you to exchange for a different item of the same value. Without a gift receipt or original payment card, it’s a bit trickier to return unwanted goods – you’re reliant on knowing where the person purchased the gift as well as the goodwill of the retailer to let you return it. If you know where it’s from, try asking politely in store, or if it’s an online retailer, contact their customer service. It’s not guaranteed you’ll be able to get an exchange, but it’s worth a go – you might be able to get store credit. Populus, on behalf of Which?, surveyed 2095 residents of the UK online between the 31st January 2018 and the 1st February 2018. Data were weighted to be representative of age and gender of residents in the UK.